Only Preteens can take part in this hobby! 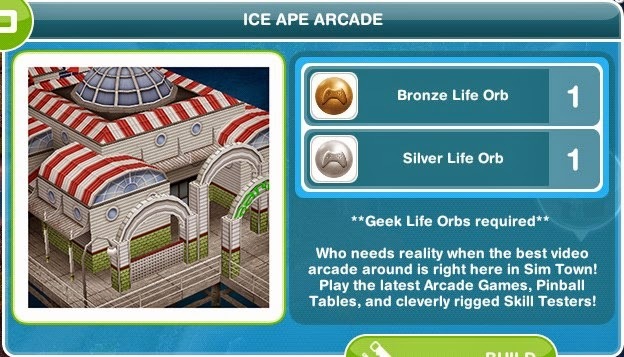 This hobby requires to have built the Ice Ape Arcade (on the island). You can pay the building cost in part orbs, part LPs. The total cost is 150 LPs if no orbs are used. It also requires to have the Skill Tester built. You can pay the building cost in part orbs, part LPs. The total cost is 930 LPs if no orbs are used. Note: as of the Neighbours Update it is possible to start and do every hobby in a neighbour's town, provided they do have met the requirements. 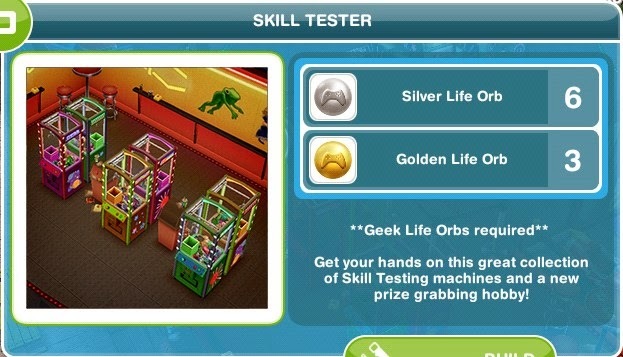 Find a Preteen Sim and whistle them to the arcade. Tap the Skill Tester (on the left) and start with the first of one hour. With every row collected the time increases as shown in the table below. The first time unlocks new machines. 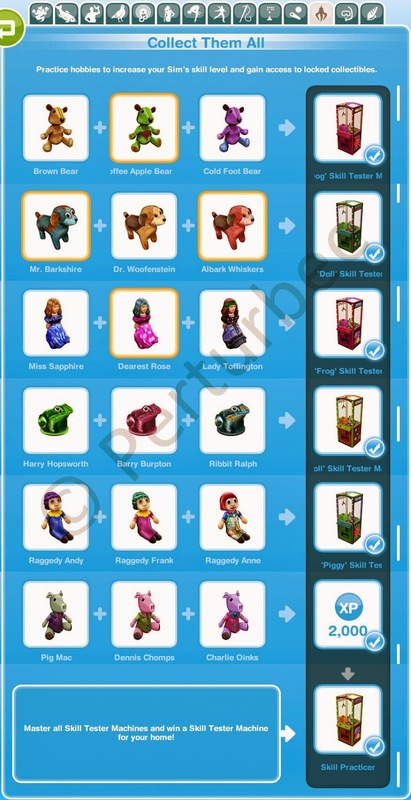 Please note: prizes already collected will NOT yield the rewards again if filled in on the collectibles grid. 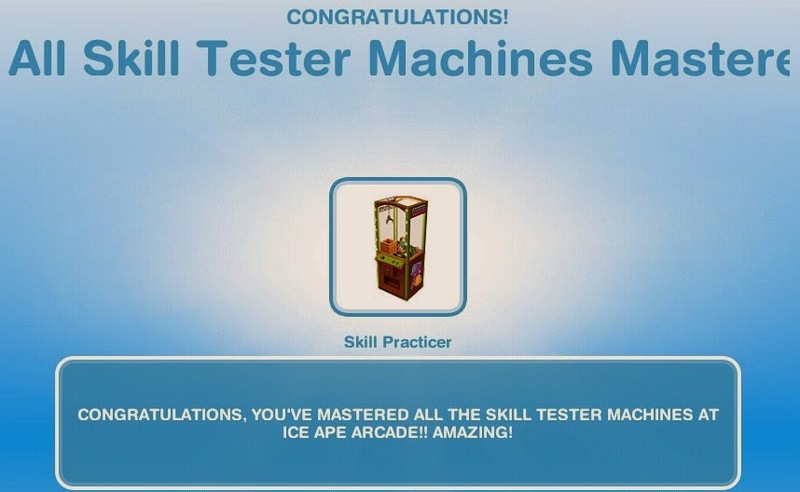 The first time collecting all the prizes unlocks "Skill Practiser" for at home. Please note that this is only UNLOCKED, you still have to buy it. WARNING: Tapping "Start a new collection" does NOT give you an option to cancel! The next unlocking gives 3 LPs.